Here’s something you don’t expect Republican leadership to support: needle exchange programs. But Alex Azar, the secretary of the Department of Health and Human Services, did just that earlier this week. As The Hill reports, the nation’s health leader expressed public support for needle exchange programs as a way to prevent the spread of HIV among people who inject drugs. Such programs also reduce the risk of hepatitis C.
He was speaking during a national HIV prevention conference in Washington, DC. Government health leaders and recently appointed members of the Presidential Advisory Council on HIV/AIDS (PACHA) met March 11 and 15 to discuss Trump’s proposed plan to end the HIV epidemic in the United States by 2030. Azar said that although he supports needle exchanges, the Trump administration opposed safe injection sites. These are safe spaces where people can use drugs; the spaces provide clean needles as well as staff trained to respond to overdoses. Last fall, California’s governor vetoed a bill that would have authorized the nation’s first safe injection site, in San Francisco. For more on that, click here. One wonders whether Azar and other Republican health leaders support needle exchanges because they have learned from the HIV and hep C outbreaks that occurred among injection drug users in rural Indiana in 2015 under then-Governor Mike Pence, who initially opposed needle exchanges. 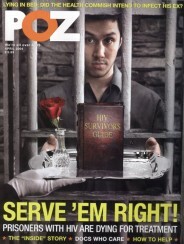 His delayed response had grave consequences, with about 215 people contracting HIV. 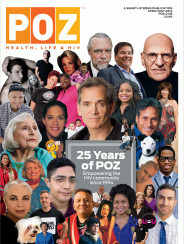 To read more in POZ about the PACHA meeting click here. To learn about Trump’s plan to end HIV, click here and to see how HIV/AIDS groups responded to the plan, click here. POZ Poll: Has opioid use ever negatively affected your life?